As many freelancers know, it’s not fun to sit down and write a proposal. Nevertheless, it’s part of the job to do such stuff too. Freelance web designers and developers can get some help in this regard, though. 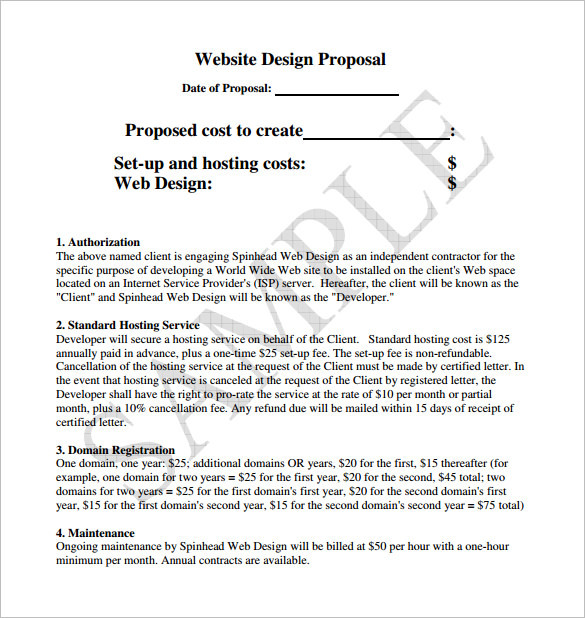 The best option in such circumstances would be to rely on a website proposal template word. You can only enjoy using this proposal if you know how to write an outstanding one. Below are some ideas to help you to achieve your goal. What should be in the proposal? Structuring the proposal is all about making it less overwhelming to your clients. A well-structured proposal has an intro, challenge, solution, proof, and call to action. It’s important to use the proposal to evaluate the problem your clients face. A proposal is a powerful tool for identifying the challenges for which clients need solutions. What sort of problems do you see on the client’s website? The clients are probably worried that customers aren’t visiting or responding to their websites as much as they would want. As a freelance web developer, you can fix this problem. What are the project’s goals? What are you aiming at with your solutions? Specify these issues clearly on the website proposal template Word. Set the sort of goals that increase your chances of getting the best results. That’s how your freelancing career as a web developer or designer would thrive and get to the next level. Goals motivate you. They give you a target to aspire to. They also reassure clients that you know what you’re doing. The best website proposal template Word is full of solutions. It’s not enough to state the problems you notice with the clients’ websites. You have to provide a detailed analysis of the solutions you are sure can reverse the trend. Topnotch freelancers understand that clients will only keep trooping in once they begin providing solutions. Place more emphasis on solutions rather than problems. Problems tend to be more negative. Solutions are more optimistic. Freelancing doesn’t exclude you from being professional. Your professionalism shines through in many ways. The language you use proves how much of a professional you truly are. Don’t stop at the language alone. Delve into tone and style as well. The style, language, and tone you use makes it easier for you – or any consultant, for that matter – to communicate clearly, more effectively and persuasively too. 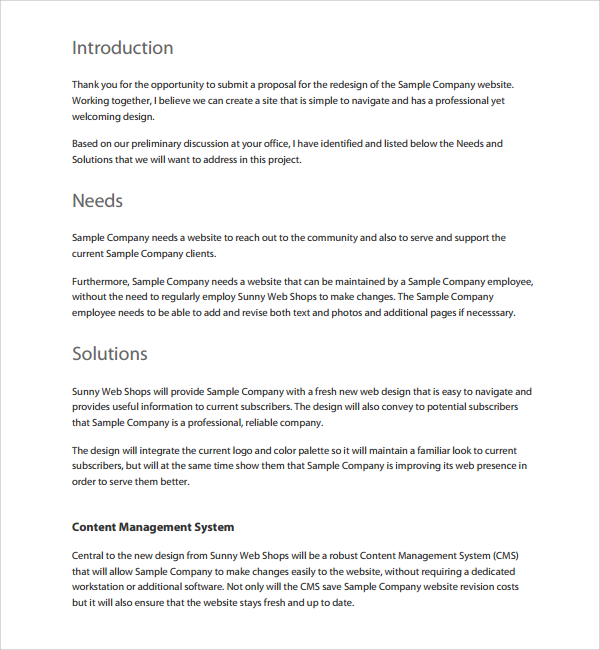 Learn more on this from the website proposal template Word. Lastly, the proposal should answer the most important question of all – WHY. Clients are more interested in learning why they should do something instead of what they should do. What’s in it for them? Why do they need to develop their websites further? Why are you the best person for the project? Use persuasive language to convince the client that the project is truly worth proceeding with. Now that you know all this, you should start using a website proposal template Word today.